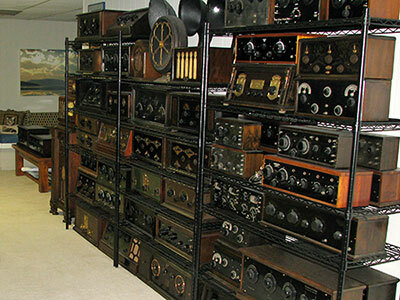 Most of the antique radios in this collection are dated from the 1920's and were acquired over the last 20 years. The majority of them are battery powered because in the early 1920's AC power was almost completely unavailable. 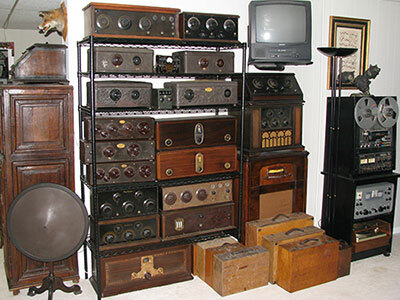 I like all of them for different reasons but my favorite radios are the early Crosley radios with the bakelite front panels, Freed-Eisemann radios with bakelite fronts, Federal Radios, Atwater-Kents, Radiolas, and Supreme Instruments testers and analyzers. I also like some of the general coverage shortwave tube radios from the 40's, 50's, and 60's.I have a soft spot for the Hammarlund and Hallicrafters radios in particular. The Hammarlund HQ-180 is one of my favorites, as is the SP-600. The technology used in these radios and testers is primitive, mechanical and totally analog. This is starkly different from everything digital in use today which is one reason why I like radios of this era. They represent the technological transformation of radio receivers from a mostly mechanical device to an electrical device to a more sophisicated electronics device, primarily due to the innovation ongoing in vacuum tubes. 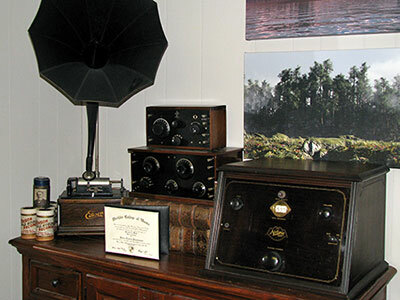 These early radios require a long wire antenna and ground connection to work, and some finesse to operate. I have enjoyed this radio collecting hobby since building my first kit, an Allied Knight-Kit Star Roamer 5-band AM/SW radio, when I was about twelve years old. This interest continued through high school and into the military. My interest in old radios began in the 70's when I picked up a series of 1940's military receivers (RBA-1, RBB-1, RBC-1) at a military surplus store. They were a lot of fun to operate and tweak, but each radio and its power supply were very, very heavy! In 1997 I found a cool radio at a swap meet, a 1936 Zenith Model 8-S-154 console, and caught the collecting bug again. I still have this radio and it still works. 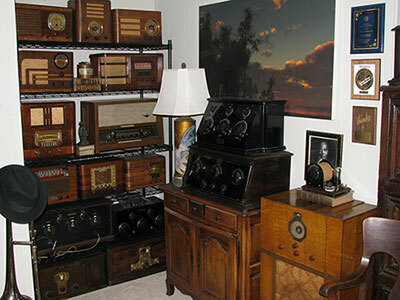 The photos here show my office where the radios in my collection have taken over. 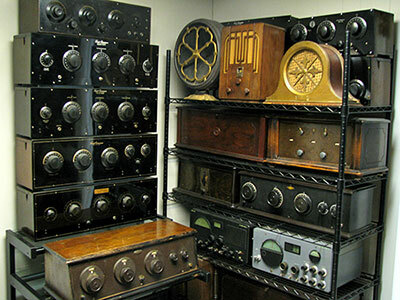 Please enjoy the radios in this collection. Welcome to my website!